From 2016 to 2017 Indesco was involved in the demolition of the Currong and Allawah flats in Section 52 Braddon paving the way for the revitalisation of a prime city centre location. 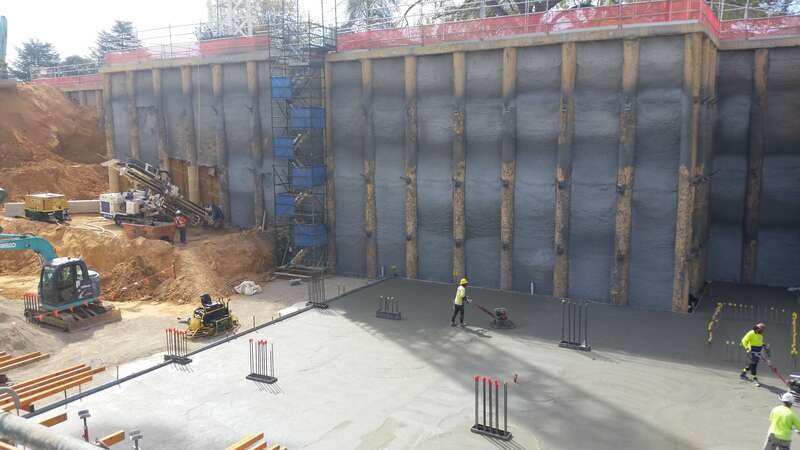 Fast forward 6 months and construction is well underway at Founders Lane, Canberra city’s largest residential precinct, located at the edge of the CBD between the historic Gorman House and the Canberra centre. Indesco has been responsible for the civil and structural design of this vibrant urban precinct in conjunction with Chase and JWLand. The current construction activities relate to the first stage of development on this unique site. On completion, this stage will contain over 25,000m3 of concrete within a slab area of roughly 85,000m2. A key feature of the structural design has been rationalising the ground floor transfer structure to accommodate a sloping site and a mix of architectural styles, which all sit over a common basement. The civil team has also solved significant stormwater and traffic infrastructure challenges as part of the project’s revitalisation of the surrounding civil infrastructure. Indesco is excited to also be involved in the next stage of this project which is currently in the concept design stage.